The Circle is hosting Aslı Aydemir’s solo exhibition “Chinatown” until March 31. Chinatown consists of works that step away from the traditional uses of ceramics to try new aesthetical and cultural possibilities. The works include a personal reinterpretation of established cultural symbols and present some interpretations on the present cultural and social landscape. Drawing on the accidental and flexible qualities of ceramics, Aslı Aydemir creates new meanings through her interventions on ready-made objects and opens up a new experimental space for ceramics. 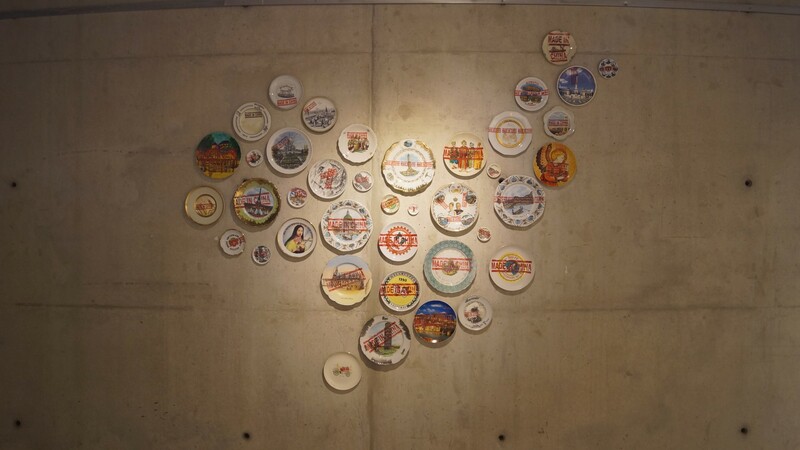 The installation titled “Chinatown” consists of interventions where artist adds the word “made-in-china” on old, found plates. This intervention highlights the controversies of uniform industrial production that replaces the hand-made objects and local cultural meanings. The ironic scene created by this intervention is calling the viewers to ponder upon the problems of serial production and the lost aura of objects. The series titled “İade-i İtibar” makes a similar intervention from the opposite direction. This time some “non-respectable” and almost “kitsch” ceramic dolls are supported by new materials such as copper and epoxy and thus these objects (which have an important place in collective memory of a generation) gain a new respectability. “After a Few Tries” produces variations on the traditional “çintemani” motif and thus re-interprets the traditional medium to produce contemporary connotations. “Haydi Yavrum Kemik” produces a variation on “çintemani” motif and proposes a contemporary design. It brings together traditional motifs and a modern sense of playfulness and creativity. “Unwritten Holy book” presents us with a ceramic holy book and, underlining the fact that holy books are generally patriarchal, imagines a holy book, which gives equality to women as well as men. “In the Name of Peace” deals with a yet another great problem in the world: militarism and arms. To this end, this installation provides the reader with an ironic gun design, again made out of ceramics. At the end this installation serves to imagine a world where there are no wars and arms races.